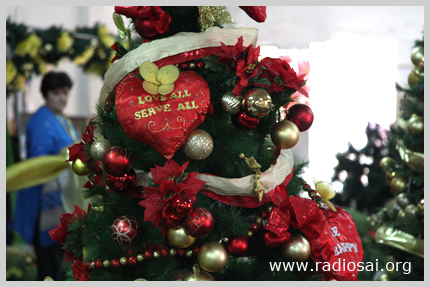 Christmas in Prasanthi Nilayam is always special. Yes, people of all faiths and cultures – be it Hindus or Muslims, Christians or Buddhists, or any faith for that matter - congregate in this 'Abode of Peace' and in unison sing the glories of the Lord. But that is only one aspect of this lovely occasion. The best part of course always is the beatific darshan of the Lord. In the days of yore, Baba would emerge from the silver door on the balcony of the Prasanthi Nilayam mandir and shower His loving glances and profuse benedictions in the wee hours of the morning even as the thousands looked up to His resplendent form sparkling in a milky white robe. While the candles silently shone in their hands and their hearts vociferously sang out for Him, their beings leaped into heights of divine ecstasy. 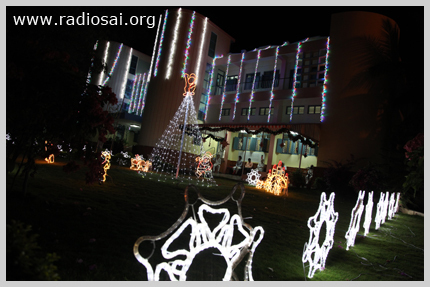 The bliss of Christmas in Prasanthi Nilayam is truly exceptional. 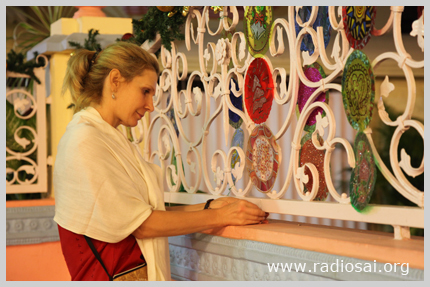 “The most beautiful Christmas is here in Prasanthi Nilayam,” says Mathia, a devotee from Croatia. 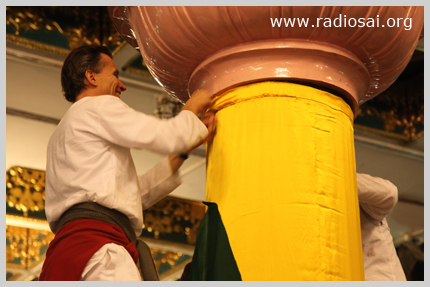 In fact more than 200 devotees from South and Central European countries are in this heavenly hamlet in December 2011, and they are on a special mission – to decorate their beloved's abode. 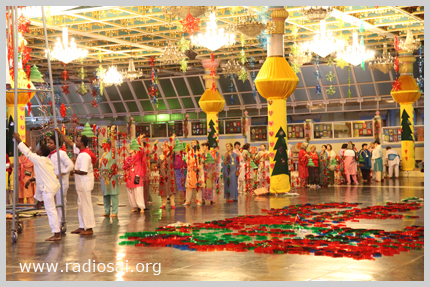 The entire Sai Kulwant Hall looks like a new heaven – what with lovely paintings, angels, golden and yellow drapes, stars, bells, christmas trees and folly everywhere. “We are doing it for Love... we are doing it for Him... We love Him so much... He is here and He is in us. It is just love,” answers Mathia when asked what has motivated her and all in her group to travel all the away from Croatia and other European countries to gather at Prasanthi Nilayam with loads of coloured clothes and floats, stars and bells, paintings and christmas trees. 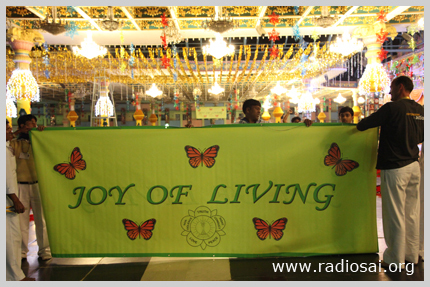 “Joy of Living” is how they have labeled this special pilgrimage as it is all about the living the love of Baba joyously every second of their lives. 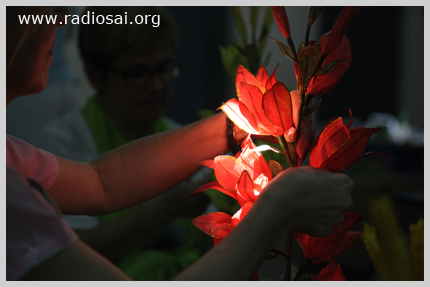 Radio Sai team had the opportunity to speak to these amazing love-filled devotees even as they were busy creating those magnificant pieces of art. Listen to these conversations below to know what Christmas Love in Action is all about! Dec 21, 2011 at 11 a.m.
Dec 22, 2011 at 1 p.m.